Below is a list of child care and senior advocacy organizations dedicated to the well-being of children and older adults in California. Focusing on the diverse Asian American community, Asian Americans for Community Involvement (AACI)'s mission is to improve the health, mental health, and well-being of individuals and their families by providing an array of human services. AACI empowers the Asian American community by working collaboratively for equality and social justice. CAIRS was established in 1979 and is the only statewide organization dedicated exclusively to serving the needs of professionals involved in the public access to human services. CAPPA is the premiere state association of organizations that provide child care subsidies to CalWORKs and working poor families throughout California. 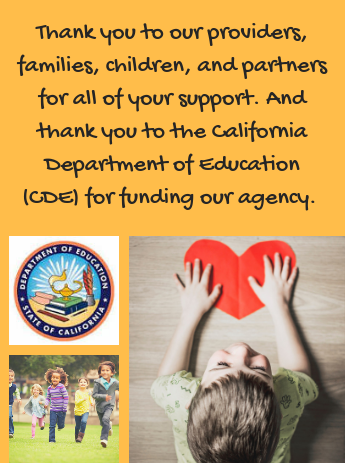 Established in 1977, CAPPA is the lead voice for public and private nonprofit agencies who contract with the California Department of Education (CDE) to provide child care subsidies to families and to ensure children keep learning while parents are earning. 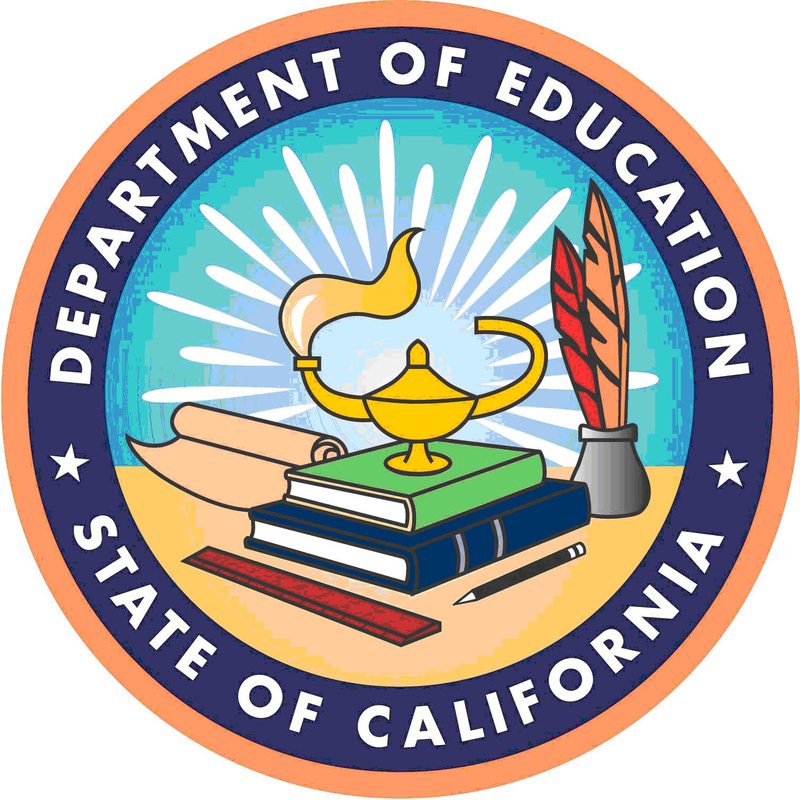 The California Child Care Resource and Referral Network is the oldest, most well-established system of child care Resource and Referral (R&R) agencies in the United States. The Network combines practical knowledge at the local level with extensive experience in working on state and national child care policy. The unparalleled public and private support for child care R&R services in California is acclaimed throughout the country. 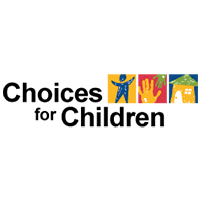 CCDAA is an independent professional organization for administrators of publicly funded Child Development Programs. Our long standing record of advocating quality early education dates back to 1943. We are recognized as one of the California's leading professional organizations. The mission of CET, an economic and community development corporation, is to promote human development and education by providing people with marketable skills training and supportive services that contribute to self-sufficiency. For each CET student, the goal is to obtain a permanent, unsubsidized, well-paying entry-level position with benefits and continued growth potential. The Child Care Law Center (CCLC) is a national nonprofit legal services organization that uses legal tools to make high quality, affordable child care available to every child, every family, and every community. We are the only organization in the coutnry devoted exclusively to the complex legal issues that affect child care. Our diverse substantive work encompasses public benefits, civil rights, housing, economic development, family violence, regulation and licensing, and land use. The mission of the Children's Defense Fund is to Leave No Child Behind and to ensure every child a Healthy Start, a Head Start, a Fair Start, a Safe Start, and a Moral Start in life and successful passage to adulthood with the help of caring families and communities. Based on sound research in early child development, FIRST 5 Santa Clara County supports the healthy growth and nurturing of children prenatal through age 5. By working with parents, community leaders, social service and healthcare agencies, FIRST 5 funds and sponsors essential services for young children and their families. 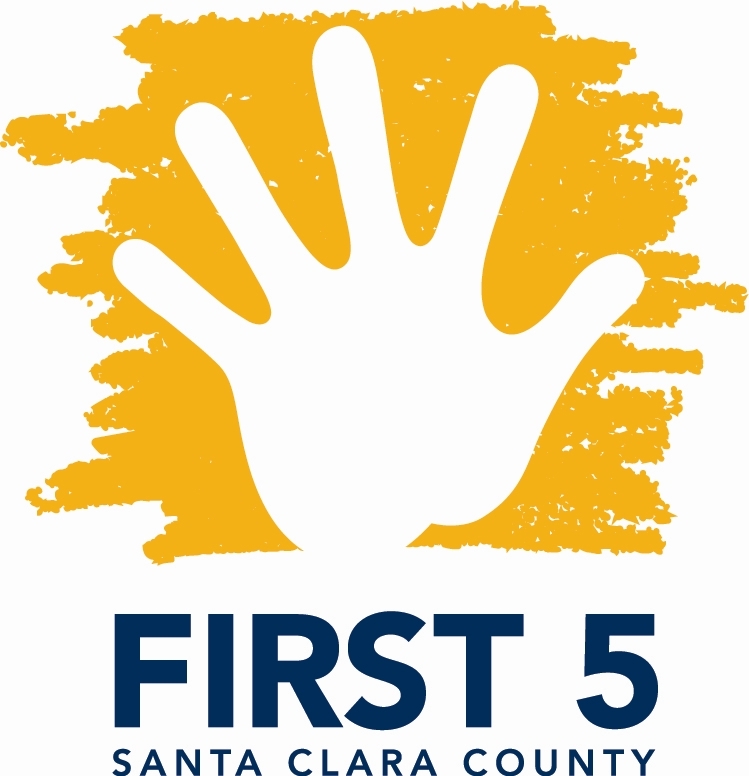 FIRST 5 is a voice and an advocate for young children and their families, investigating more than $30 million of Proposition tobacco tax money each year in Santa Clara County to support children related critical issues. The Food Research and Action Center (FRAC) is a leading national organization working to improve public policies to eradicate hunger and undernutrition in the United States. Founded in 1970 as a public interest law firm, FRAC is a nonprofit and nonpartisan research and public policy center that serves as the hub of an anti-hunger network of thousands of individuals and agencies across the country. Since 1992, the Latino Coalition for a Healthy California (LCHC) has been the leading voice on Latino health issues throughout the state. 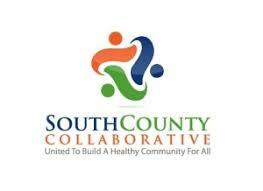 Our primary programs include community education, research and policy advocacy in the areas of access to health care, immigrant health, health care disparities and community health. 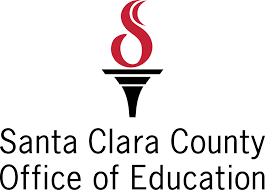 The Santa Clara County Local Early Education Planning Council was formed in 1991 by the Santa Clara County Board of Supervisors and the Santa Clara County Office of Education. 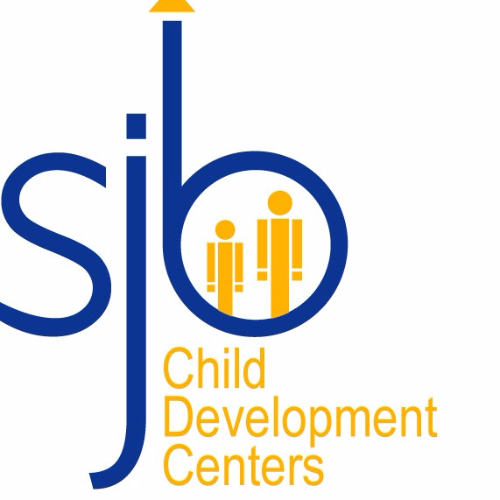 The primary mission is to plan for child care and development services based on the needs of families and children in the local community. The focus of NAFCC is to provide technical assistance to family child care associations. This assistance is provided through developing leadership and professionalism, addressing issues of diversity, and by promoting quality and professionalism through NAFCC's Family Child Care Accreditation. Child Care Aware offers child care resource and referral centers located in every state and most communities across the US. This organization help families, child care providers, and communities find, provide, and plan for affordable, quality child care. UnidosUS is a private, nonprofit, nonpartisan, tax-exempt organization established in 1968 to reduce poverty and discrimination and improve life opportunities for Hispanic Americans. Parent Voices is a partnership of parents throughout California that is coordinated by the Network and hosted by Child Care Resource an Referral agencies throughout California. Essentially, Parent Voices works jointly to develop and organize leadership, advocacy, and community people and resources in order to increase funding, improve quality, and provide better access to child care. RESULTS is a nonprofit grassroots advocacy organization committed to creating the political will to end hunger and the worst aspects of poverty. RESULTS is committed to individuals exercising their personal and political power by lobbying elected officials for effective solutions and key policies that affect hunger and poverty. 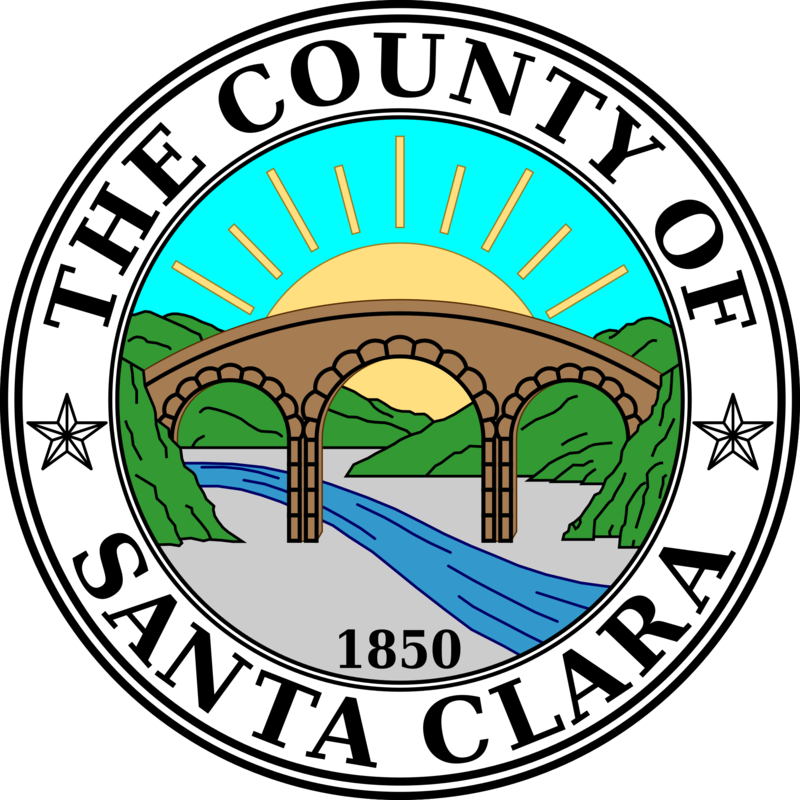 The Silicon Valley Council of Nonprofit is a membership organization open to all 501 C-3 nonprofits in Silicon Valley with an emphasis on Santa Clara County. We currently have 185 member agencies. Our mission is the magnify the influence and contribution of nonprofit businesses in Santa Clara county by working as a Nonprofit Chamber of Commerce - A Voice of Strength, building on values to influence public policy. 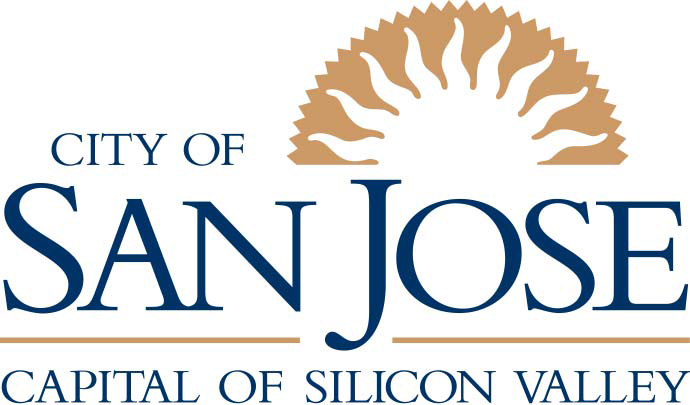 The San Jose Silicon Valley Chamber of Commerce began in 1886 as the Board of Trade, bringing together businesses to solve mutual problems and strengthen the local business climate. If you are a new mom, or a mom-to-be in the US, visit the CDC's Parent Portal home page to learn how you can sign up for Text4baby, a free mobile information service designed to promote maternal and child health. An educational program of the National Healthy Mothers, Healthy Babies Coalition (HMHB), Text4baby provides pregnant women and new moms with information they need to take care of their health and give their babies the best possible start in life. You can sign up for the service by texting BABY (or BEBE for Spanish) to 511411. You will receive free SMS text messages each week, timed to your due date or your baby's date of birth. The California Partnership is a statewide coalition of community based organizations that fights poverty in California. We work together for our common goals by organizing and advocating at the local, state, and national levels for the programs and policies that reduce and end poverty.